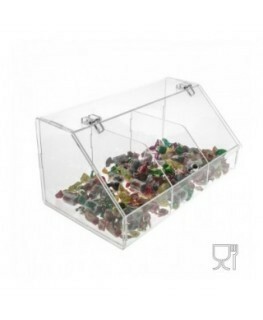 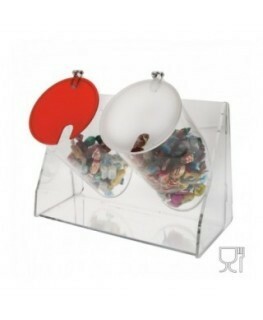 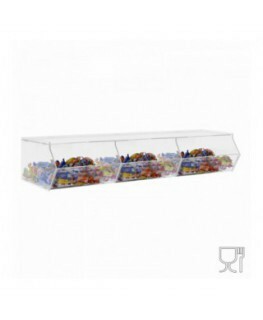 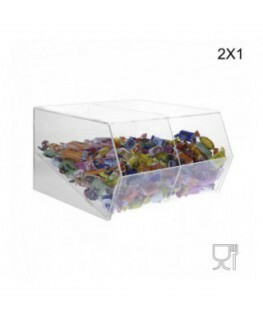 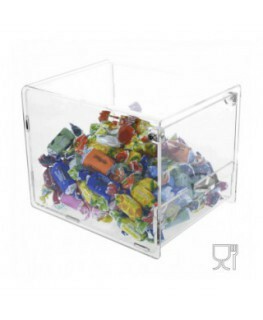 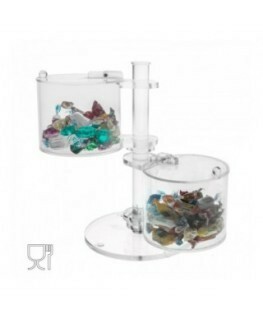 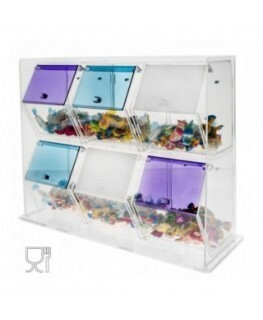 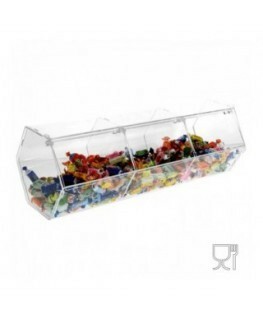 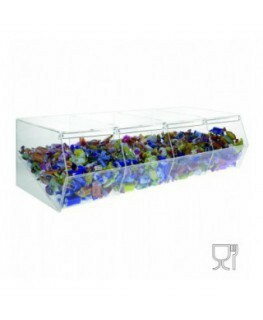 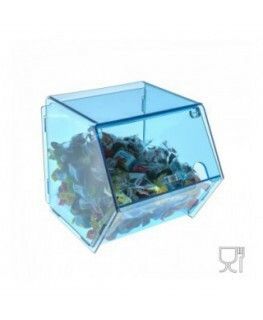 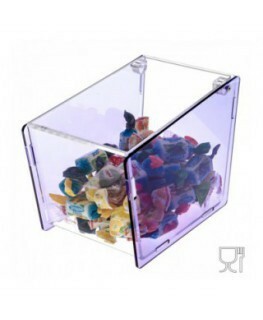 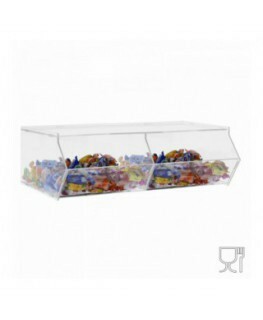 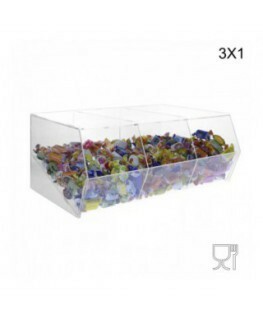 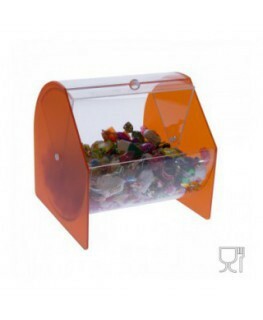 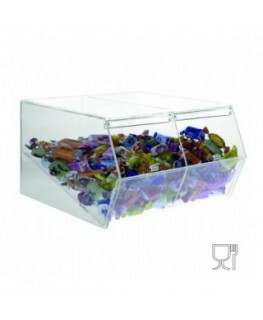 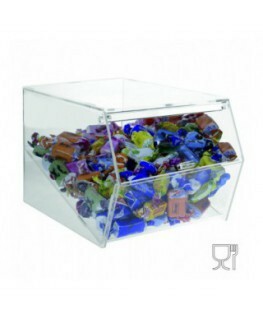 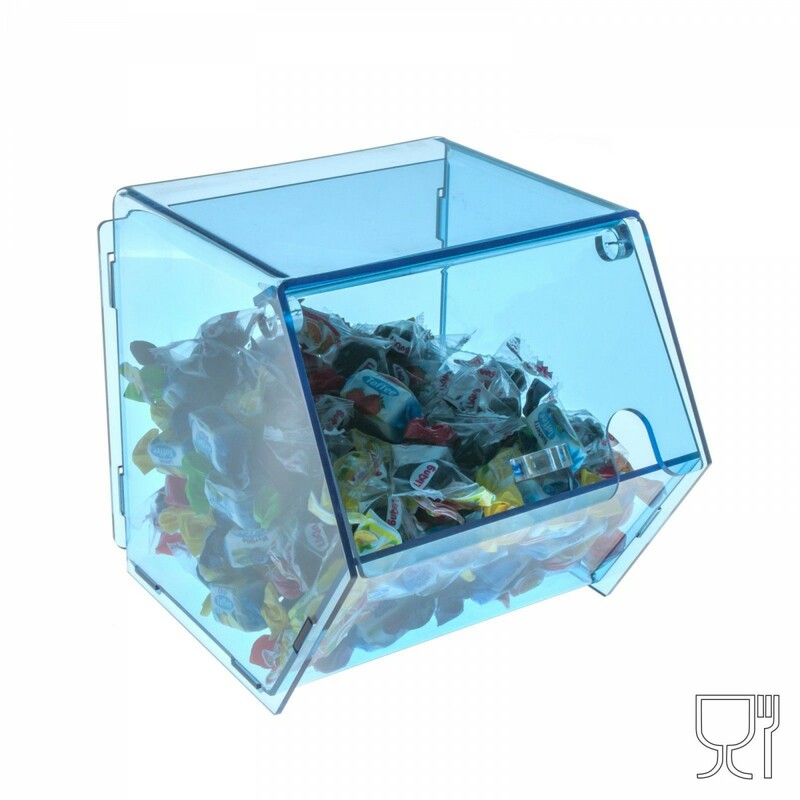 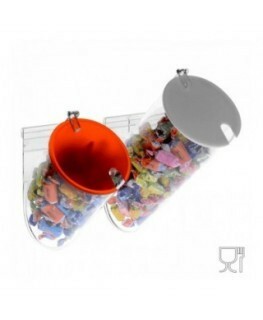 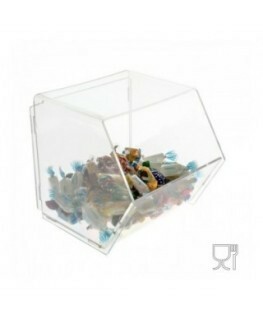 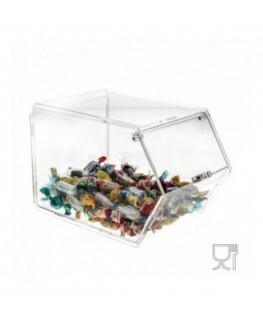 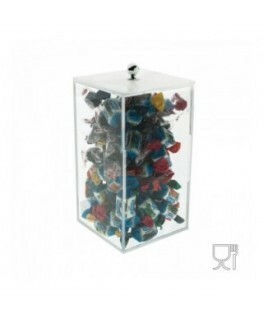 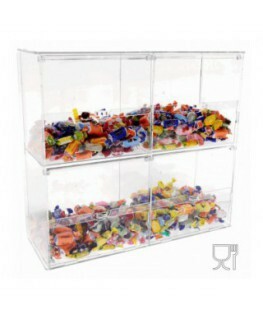 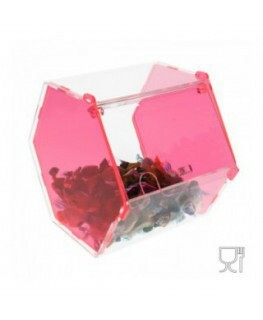 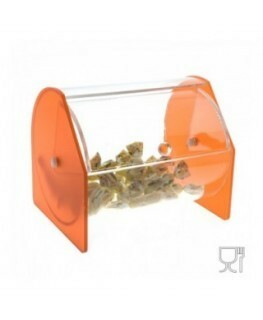 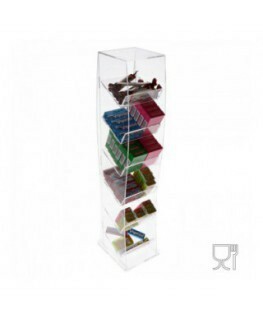 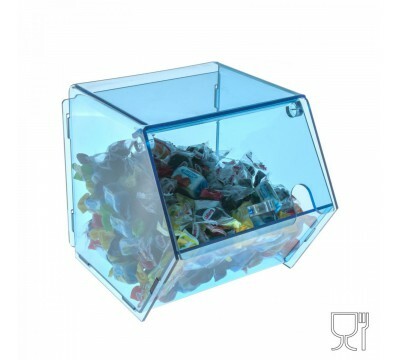 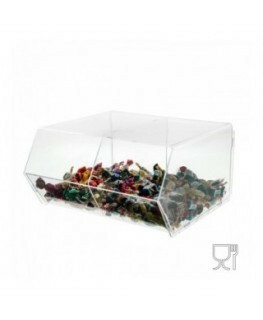 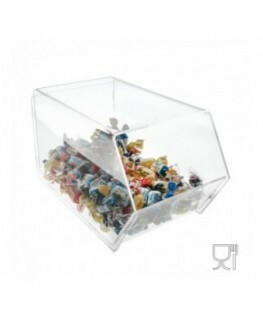 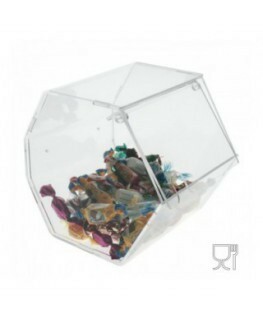 This clear acrylic candy bin with reclosable opening is suitable for food and for candies. 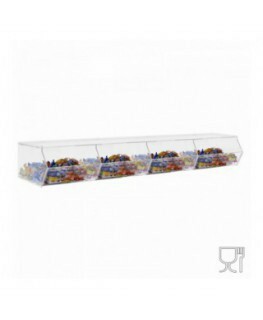 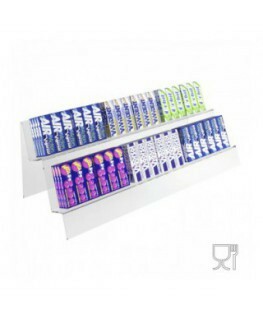 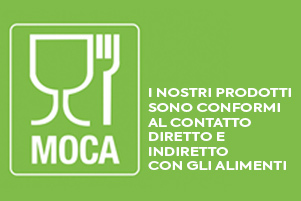 The display is equipped with a flap that protects food from external agents and ensures data integrity. 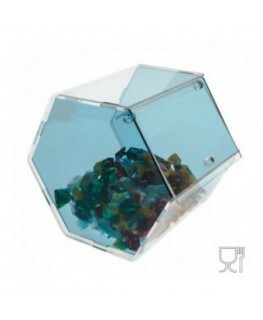 It also has a hole for a teaspoon.